I get what Tarantino was trying to say, but not the way he’s saying it. Still, I wonder if my review here is loaded with my biases; biases you need to examine as well. So feel free to rip me here because I think there are a few double standards. I can’t recommend Django. Usually I don’t review books or films that I can’t recommend. However, I think this film is something I need to speak out about. 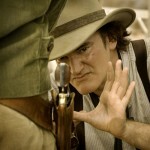 Before I go take apart Django, let’s give Tarantino some acclaim. Pulp Fiction and Reservoir Dogs are two of my favorite movies; both iconic American films from the 1990s. 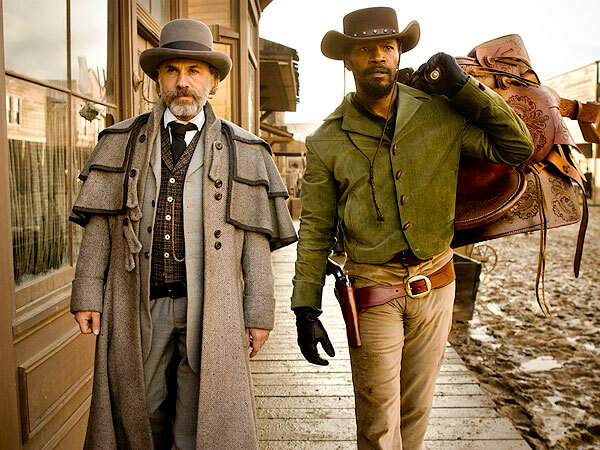 Django has some recognizable and fun Tarantino moments and qualities; the way the film was shot like an old style Western; and Tarantino’s own appearance and his character’s almost comical death. Tarantino created some memorable characters including Jamie Foxx’s title role, but most certainly Christoph Waltz, Leonardo DiCaprio, and Samuel L. Jackson. Tarantino, I think, was looking for an irony with Waltz’s character, Dr. King Shultz, a German who despised the institution of slavery, whose own people would become the 20th Century’s biggest racists and haters. Jackson’s character, Stephen, the head slave who embraces slavery for himself, is a brilliant, almost comical nuance. It’s Tarantino’s Ralph Ellison moment. Ellison, in his classic 1950s novel Invisible Man, examines the causes of racism in America and part of it comes from the racism of blacks against fellow blacks. 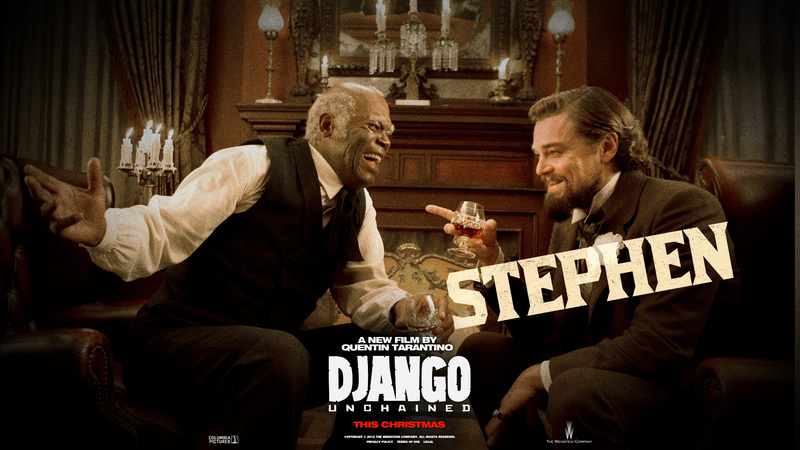 Django should be applauded for its hatred and disgust of slavery. Let’s get into the problems. We’re not living in the 1990s anymore. Newtown is too much of a reality. Granted, this film was produced long before Newtown happened. 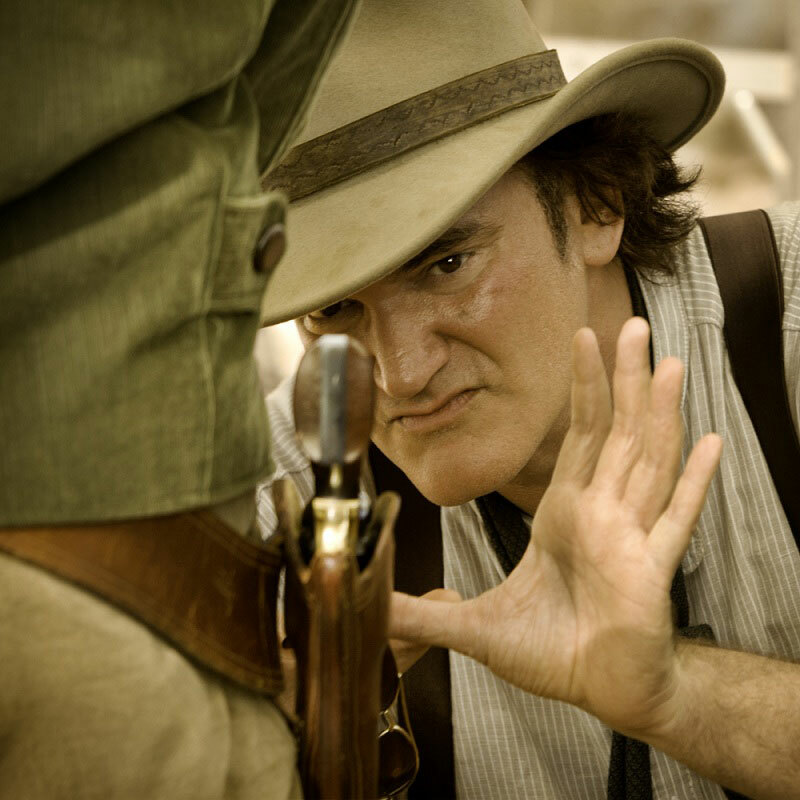 However, Tarantino’s angry push-back against the criticism of the film’s violence makes him look arrogant and probably makes him a poster-boy for the right’s hatred of Hollywood. Jamie Foxx gets it; he immediately started calling for a look-in-the-mirror moment for Hollywood. Don’t take your kids to this film unless you believe in Old Testament justice: an eye for two eyes. There is way too much gratuitous violence. 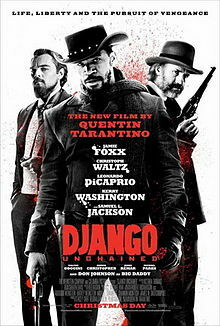 Although we admire Django’s desire to free his wife from slavery, this film favors Wild West justice over love and redemption. The special effects were either horrible or purposely goofy to try to be funny. The blood balloons were either too tight or too full. The film’s story structure is all wrong. The moral action and impetus comes from Dr. King Schultz (Waltz’s character) not from the hero Django. There are too many antagonists played by DiCaprio, Bruce Dern, and Don Johnson. The real antagonist in Django is slavery. Thematically, it makes sense. Dramatically, it falls short. The film plays on bad stereotypes. All Southern whites hate blacks and want slavery. It’s a black and white Mandingo world. 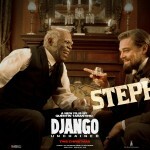 Django is a symbol to all racists of what President Obama really wants to do. 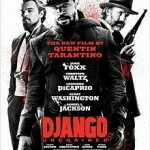 Still, I question myself in this review and deeper reasons I didn’t like Django. For instance, I saw the film in the south. Maybe I was influenced by the lingering effects of slavery and the lack of black prosperity and rights down here. I just finished Meacham’s bio on Thomas Jefferson, a founding father who failed to address slavery. Even Meacham is at a loss of how a man who wrote that all men are created equal could live in a world that didn’t adhere to that belief. Maybe I want to believe that the institution of slavery was so entrenched in early American life it took a destructive event like the Civil War to change things. And maybe I had just watched Lincoln and I wanted an historic view of slavery, not this fictional, idealistic, one-sided setting. Obviously, Django could not exist for very long in the 1850s South. But maybe I am just craving a sanitary version of how ugly slavery was/is. And I just reviewed another violent film, Jack Reacher. I said it was entertaining. However, am I racist here? Is it OK that a white character can use violence as justice, but a black character can’t?